Today is a monumental day for our family. Little Sasquatch turns seven! It’s been a great year, with him being in 1st grade – his parent/teacher conferences are always fun, because he’s so damn smart and such a joy to be around (everyone says so!). He’s played basketball with the Junior Jazz league and just started city league machine pitch baseball. The Big Guy and I are such proud parents! 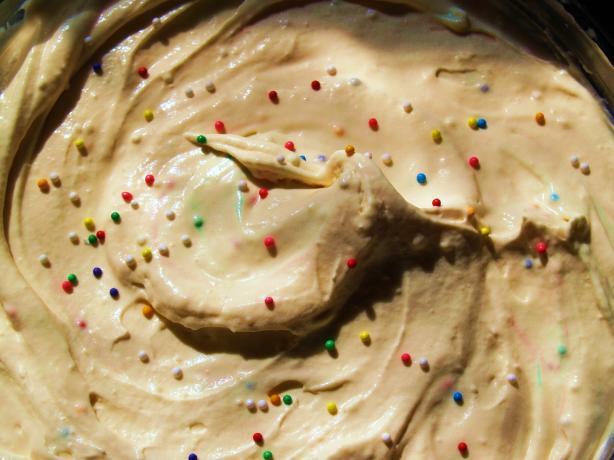 To commemorate this historic day and celebrate the past 7 years, I decided to make cake batter ice cream, to go with the cake he requested. Place freezer bowl of ice cream maker into the freezer for at least 24 hours prior to making. It is better to keep it in there 24/7 that way it is always ready. Pour mixture into the freezer bowl and let mix until it has thickened (about 25-30 minutes). I did not change any part of this recipe, having never made homemade ice cream before. Besides, it tastes perfect! We’re going over to a friends for a joint birthday party, so I’m sure it’ll be a hit. *The recipe originated at food.com by user smstemp.